The National Institutes of Health defines Mild Cognitive Impairment also known as MCI as, "the stage between normal forgetfulness due to aging and the development of dementia." Get More Information on Triple Complex Brain Tonic Tissue Salts. 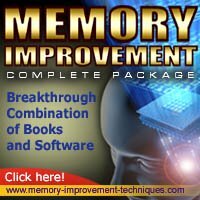 Is memory decline as you are aging something that you have noticed? Have you or your friends used the term "Senior Moment" in jest? What is really behind memory decline as we age and is it inevitable? Common with MCI are mild problems with thinking and memory. However, they do not interfere with daily living in a significant way. People are in touch with this kind of forgetfulness. We sometimes joke about it. IMPORTANT: Not everyone with MCI develops dementia. There are thought to be three kinds of MCI. Also, there are three needed criteria for MCI. First, people with MCI have normal general overall thinking or cognitive functioning. Second, people with MCI engage in normal daily activities of living. Third, the do not have dementia. What are the three type of or MCI? Attix and Welsh-Bohmer (2006) have defined them as Amnestic MCI (aMCI); Single non-memory domain MCI (sMCI); Multiple Domain MCI (mMCI). What does this mean? Amnestic MCI (aMCI) means that the person complains of memory problems that is out of proportion to what we might expect for their age. Single non-memory-domain MCI (sMCI) means that the person is impaired in one of these areas: attention/concentration, problem-solving, language, or eye hand coordination. Multiple-domain MCI (mMCI) involves two or more of the above usually including memory decline. We know that 1 to 2 percent of the population over the age of 65 years will develop dementia. While somewhat controversial, the research indicates that somewhere between 9 and 18 percent of people with MCI will develop dementia. IMPORTANT: However, the above 82 to 91% of people with MCI or memory downturn will not develop dementia. A recent study by Dr. Juan M. Encinas and colleagues reported in Cell Stem Cell, Volume 8, Issue 5, 566-579, 6 May 2011 is revealing about what may be happening in memory decline as we age. The adult hippocampus (an important area in the brain responsible for memory) may include “disposable stem cells” that account for the disappearance of hippocampal neural stem cells and the age-related decline in the production of new neurons. In other words, the brain stops producing cells for new memory development. While this is an important study, it is preliminary. IMPORTANT: What can you do? For information on how to improve memory go to our the Memory Fitness pages of our website. Geriatric Neuropsychology: Assessment and Intervention by Deborah K. Attix PhD, Kathleen A. Welsh-Bohmer. Mild Cognitive Impairment: Aging to Alzheimer's Disease Ronald C. Petersen (Editor). Mind Boosters: A Guide to Natural Supplements That Enhance Your Mind, Memory, and Mood by Ray Sahelian.